While I don't claim to be an AK74 expert over the years I have picked up some working knowledge and wanted to put down a quick primer here. I have always considered myself an amateur AK owner and enthusiast, and my opinions are still written from that perspective. There are many many enthusiasts who have considerably more knowledge than I do, and this page is an acknowledgement of so many people's work. 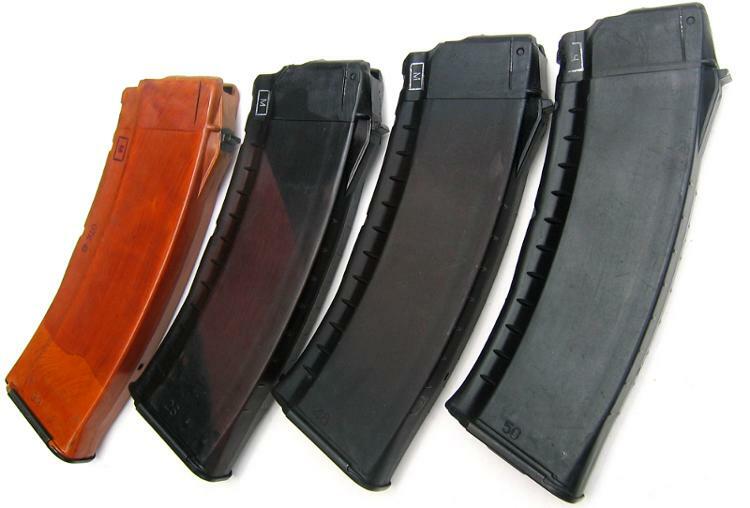 Fullsize standard AK74's are generally split into 3 era's of major production patterns and I will provide some details here as it relates to my builds. To be clear however, this is just touching on the topic and is really just a quick review of the highlights of each era. Service AK74M rifles are all folding stock with pistol grip plates, 5.5mm folding hardware and have a side rail optic mount installed standard as part of the M (Modernizirovanniy) designation. Previously called AK74 (fixed stock, no rail), AK74N (fixed stock with side rail), AKS74 (folding stock, no side rail) or AKS74N (folding stock with side rail mount), the 90s era cumulative production improvements resulted in the rifle simply being called the AK74M. There are training rifles which have the black polymer furniture and 74M features but are fixed stock, however these are not in front line service as I understand it. 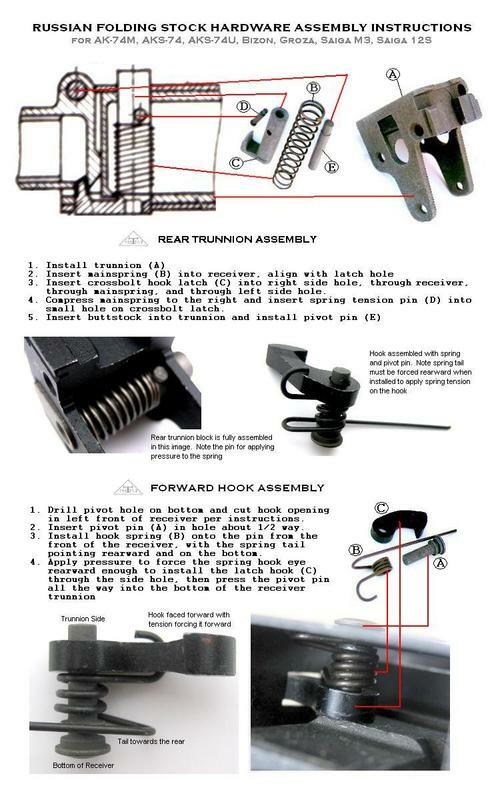 If you are considering modifying a fixed stock SLR or SGL rifle to be period correct the simple guideline is to use Bulgarian parts for the SLR series and Russian parts for the SGL (and Vepr) series. Also of note is that the Bulgarians never modernized their original Russian supplied AK74 tooling and so the current production SLR series are actually very close to 70's and 80s production rifles. 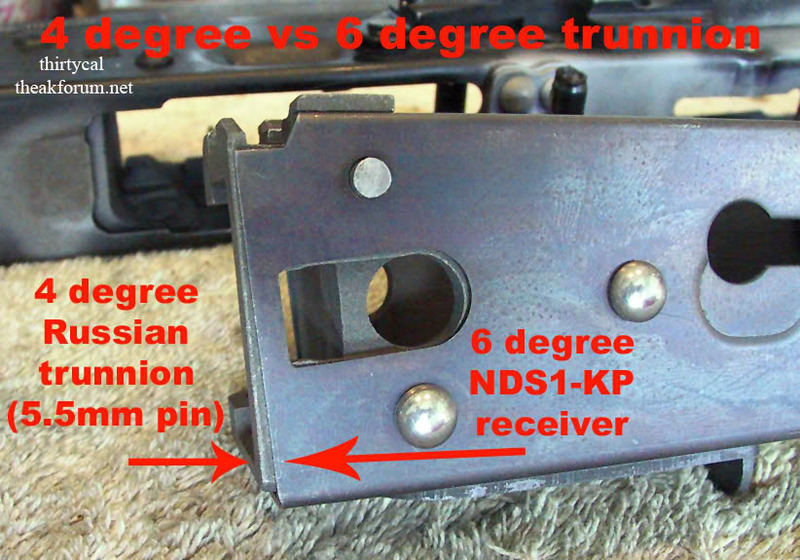 The AK74M switched to a different stock angle of 4 degrees instead of the older 6 degrees. See below for ThirtyCal's photo, who is an accomplished builder, and is also featured on Avtomats in Action - AK103. His AK103 build is amazing and his attention to detail is one of the best in the hobby. K-Var US made plum furniture is also a different composition and color. Very good quality parts which are also 922r compliant, but not a direct color match.